Vikings restricted free agent fullback, Naufahu Tahi, received a tender from the Vikings in the amount of $1.01 million. 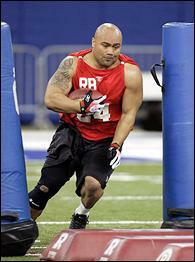 That offer was out-done significantly by the Bengals as they offered Tahi $1.4 million. Because of the tender placed on Tahi, the Vikings have the right to match any offer he recieves. They have seven days to do so. Tahi, known more for his blocking, only has 15 rushing yards and 44 receiving yards in his 4 year career. He also has one fumble and no touchdowns. 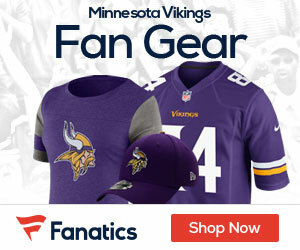 Presumably, the Vikings will decide very soon whether or not to match the offer. With Leanord Weaver signing with the Eagles today, their options just got slimmer. what a waste of money !!! REALLY ??? ?